This is a work in progress, but you can see where it will go. 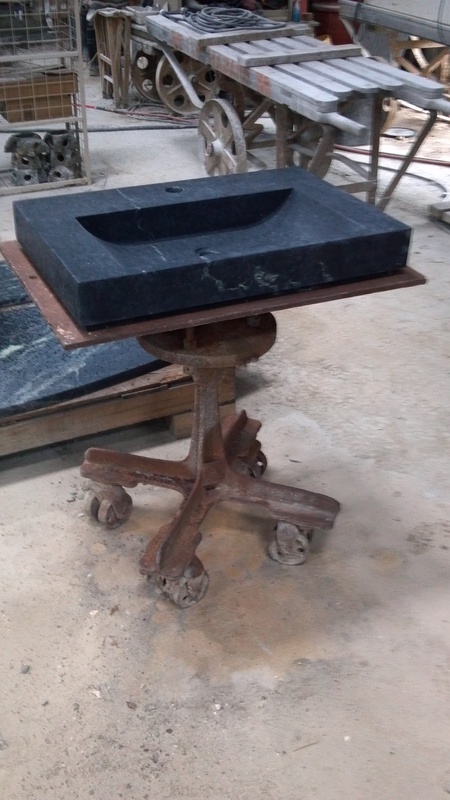 The soapstone vanity will be joined to a 1920’s vintage machine stand to create a pedestal sink. Perfect for an urban loft or restaurant.